1/4 cup fresh parsley or dill (optional). 1 peeled carrot, cut in half. 1 quarter of a red onion. In a dry food processor, process the parsley with the steel knife until fine. Note: There’s no need to rinse off the processor in between steps. Process the chunks of kohlrabi in the bowl of the food processor and with the steel knife, using the pulse button, until chopped coarsely. If large chunks remain, remove the smaller pieces and continue to process the larger chunks. Otherwise the kohlrabi will get mushy. 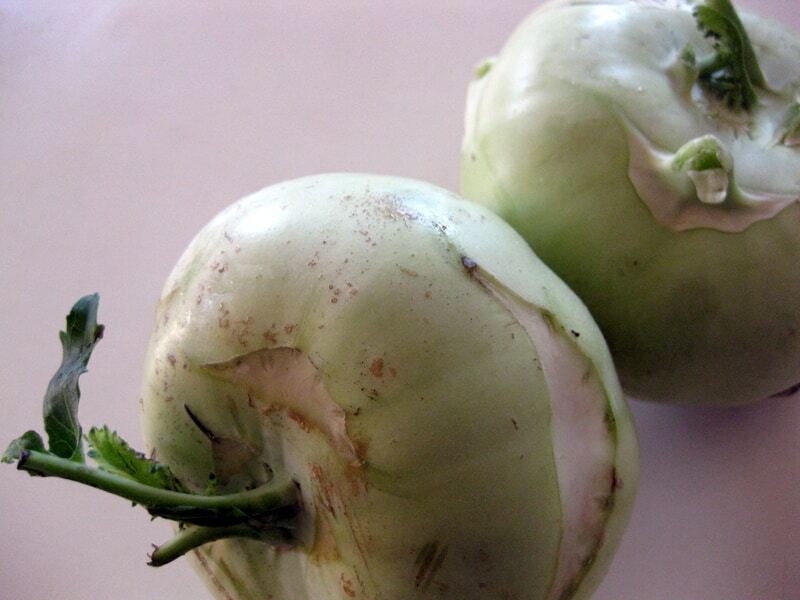 Remove the kohlrabi to a mixing bowl. Repeat step 2 and 3 with the carrot, pepper and onion. Be careful not to overprocess. Add mayonnaise, salt and pepper to taste. Mix well. I’ve never made anything with kohlrabi. Perhaps this recipe is a good place to start…. This is a great recipe- I’ve got one for you to give a try too! I guarantee you’ll love this sweet & spicy salad!